Summer&apos;s in full swing and it&apos;s going to be a great weekend in Wilmington, Delaware and the Brandywine Valley! Here are our picks for your weekend itinerary – and don’t forget to share your travel pictures using #VisitWilm on Instagram & Twitter! “American Idiot,” a musical using songs from two Green Day albums, closes the Wilmington Drama League’s 2016-17 main-stage season. In the two-time Tony Award-winning rock opera, Johnny, Tunny and Will struggle to find meaning in a post-9/11 world. This high-concept show with strong social messages may not be appropriate for children. Friday & Saturday show times at 8pm, Sunday show time at 2pm. Celebrate the beginning of summer in Winterthur&apos;s award-winning children’s garden! 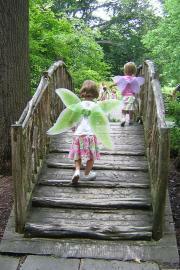 A full day of excitement, imaginative play, and outdoor fun awaits you in the Enchanted Woods. Storytellers, musicians, face painting, games, crafts, and more will provide the perfect kick off to summer. Members free. Included with admission. 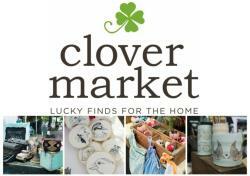 The Clover Market, in partnership with Historic Kennett Square, will be popping up for the first time in Kennett Square with a Father’s Day Market on Sunday June 18, from 10 a.m. to 5 p.m. The event will feature over 100 carefully selected vendors with antiques, vintage, and finely handcrafted items along with a lineup of food trucks, sweet treats, beer by Victory Brewing Company, wine by Paradocx Vineyards, and music in the afternoon by local favorites Couple Days. Find these and all the weekend events on our CALENDAR OF EVENTS page! What’s on your agenda this weekend? Gaby has a passion for Wilmington, healthy food and cooking, good customer service and all things digital. She resides in Midtown Brandywine with her husband Lew and their hilarious fox terrier, Olive. Gaby and Lew can often be found in various Wilmington establishments, probably eating.